This photo still lingers in my camera roll two years after it was taken. I tend to take many photos of a particular moment, especially with the kids because usually they are moving as fast as they are growing.The beauty of an iPhone pic is my camera is always ready and I can always delete excess photos. This moment is a favorite, with tender light and strong shadow of my oldest sweetly holding her then, two month old brother. I love the way the black and white emphasizes the mood and her expression. It removes any other colors or distractions. 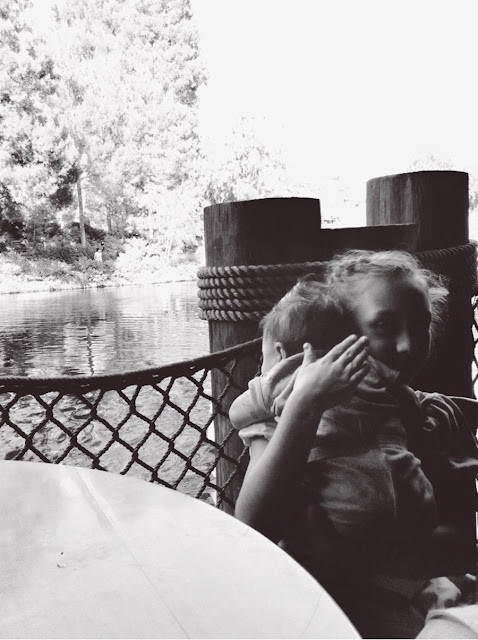 And even though half her face is cast in shadow, I see a glimpse of her happiness at being the big sister. 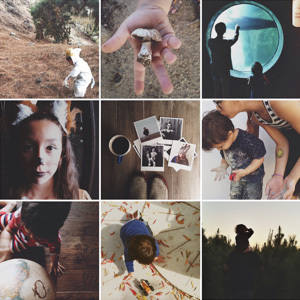 You can see more of Andrea's love filled pictures on her instagram feed @dearpomegranates.